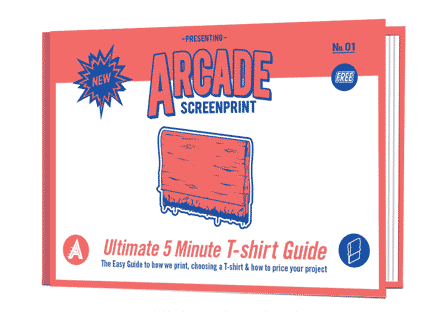 Arcade Screen Printing are Screen Printers of custom T-Shirts, apparel and textiles. Established in 2006 from a long history of diverse print, design & exhibitions – we are proud of our reputation and our legacy with the myriad of customers, enterprises, artists and causes. Quality and environmentally driven, we print your work with 100% non-toxic premium fashion finish waterbased inks on beautifully fitting T-shirts and textiles for the promotional, marketing, uniform and textile industries. 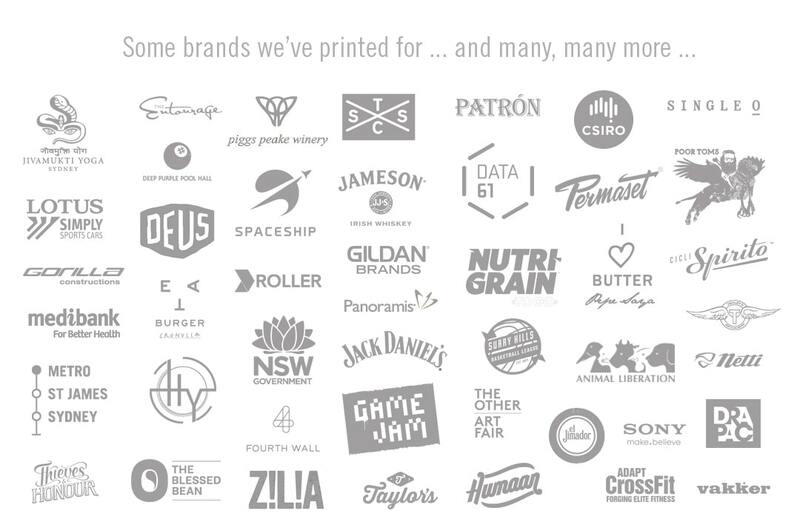 We can print odd and unusual projects and products and are open to professional ideas across arts, architecture, retail, theatre etc etc we’ve printed everything from Drone GPS landing pads to boxer shorts to costumes for the largest Opera Companies in Australia, right through to printing for our Ink maker and 1000’s of T-shirts and polos for everyone from the everyday enterprise like ‘Jacks Plumbing’ to major sports and fitness franchises. We love the communication and personal endorsement power of the T-shirt. Highlighting the tribal power they have at events, gyms or workplaces when a crowd is wearing your brand in direct relation to the wearers face. Our tee’s are printed with 100% waterbased inks which makes them totally non toxic to wear but can also (As they aren’t plastisol inks can be ironed and dry cleaned. The feedback we get about our inks in direct relation to emissions is about plastics on the skin when you are sweating at the gym or sleeping in a T-shirt …. we of course want to point it out on all T-shirts as a health and well being concern across both personal and environmental spheres. BUT saying that – Coupled with a great fit a T-shirt should be something that people will want to wear again and again pushing your brand even further past the event. We feel being a healthy shirt compounds this affect. 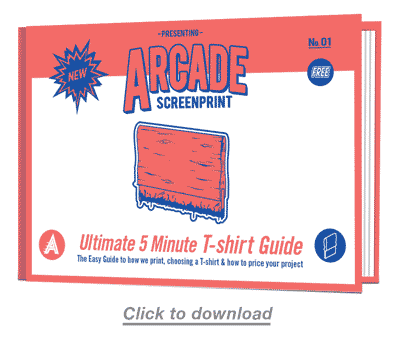 At Arcade we look at the art of the Tee. The single most underestimated but massively used and wildly accepted advertising medium in the world. T-shirts – Made for ‘your’ people by our people. If you have your artwork ready, please attach it below - or send us a link from Dropbox or Google Drive.